Changing the Conversation was a live crossover episode of A Hungry Society and Food Without Borders that explored how to create meaningful change for women, people of color, and the LGBTQ community in the food world. It took place on Thursday, June 21, 2018 on the rooftop of 100 Bogart in Bushwick. 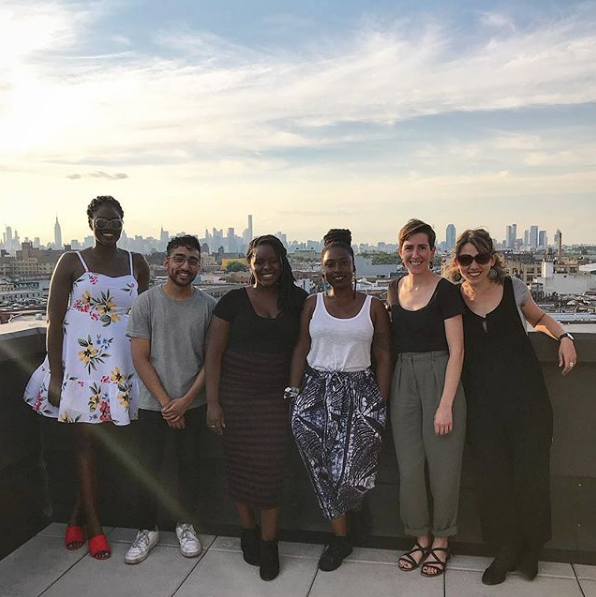 Hosts Korsha Wilson (A Hungry Society) and Sari Kamin (Food Without Borders) welcomed guests Leah Kirts, Vonnie Williams, Mayukh Sen, and Yemi Amu to discuss access, equity, and opportunity in today’s food landscape. Who’s talking the talk and who’s walking the walk in kitchens, media, and the events circuit? Panelists shared personal stories and advice on navigating the ever-changing food world they live and work in.